BAKERSFIELD, CA. 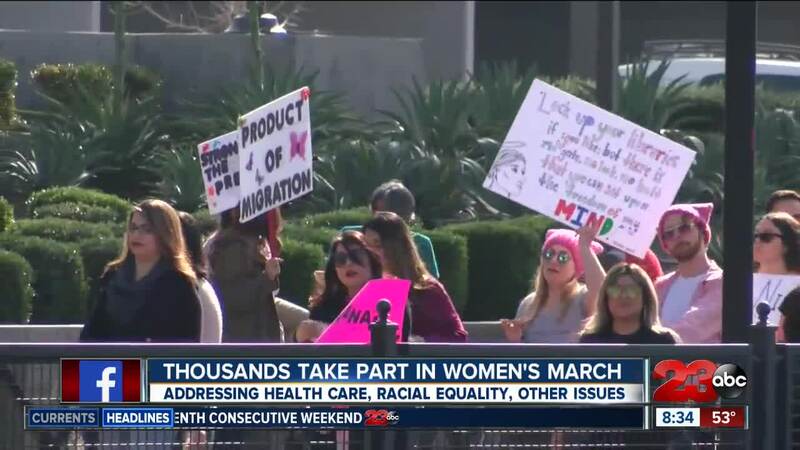 — Thousands of people gathered in downtown Bakersfield Saturday, Jan. 19 for the second annual Women's March Kern County. The event had over 70 organizations, food booths and artisans, according to Kimberly Kerchmer, executive director Women's March Kern County. The morning started with guest speakers, music and performances. At noon, the march started at the corner of 21st and R Streets. It is set to go until 3 p.m.